If it's sleek, stylish and clean you're after; then the White Rectangle Desk with Post Legs is just what you're looking for. 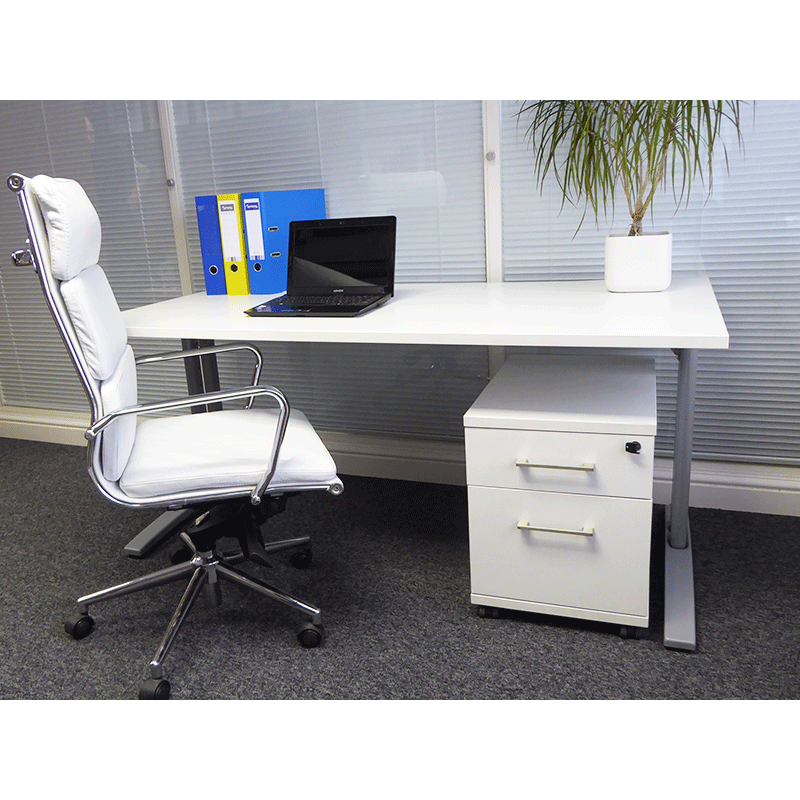 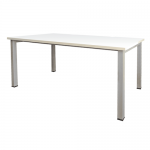 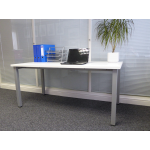 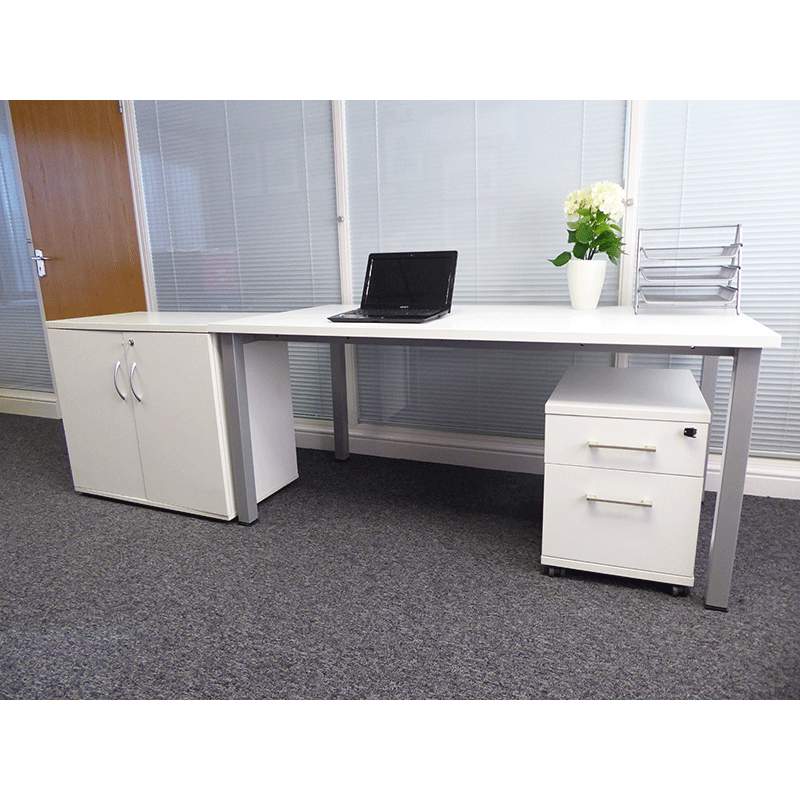 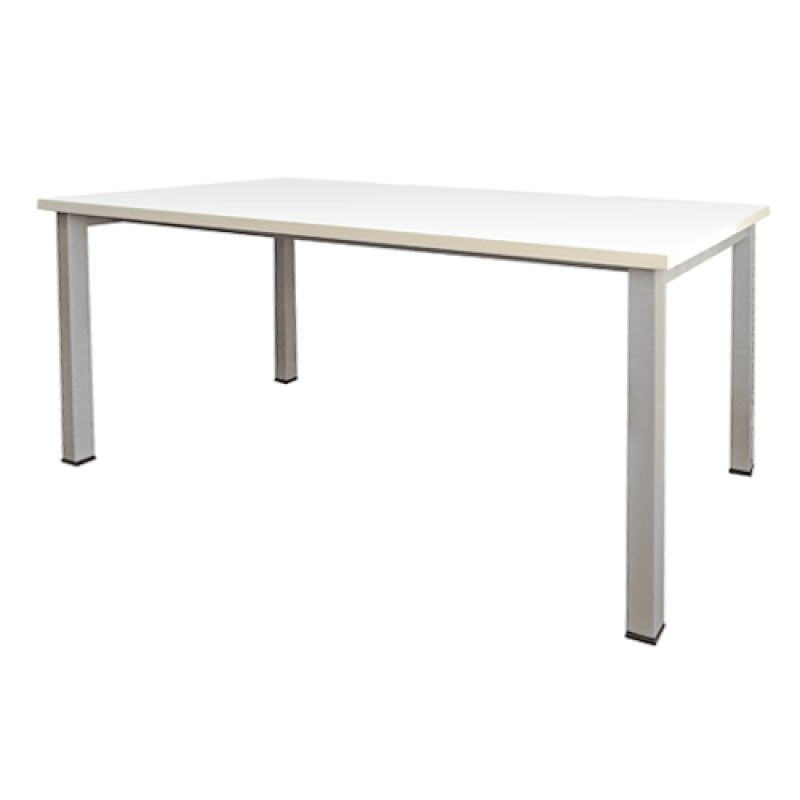 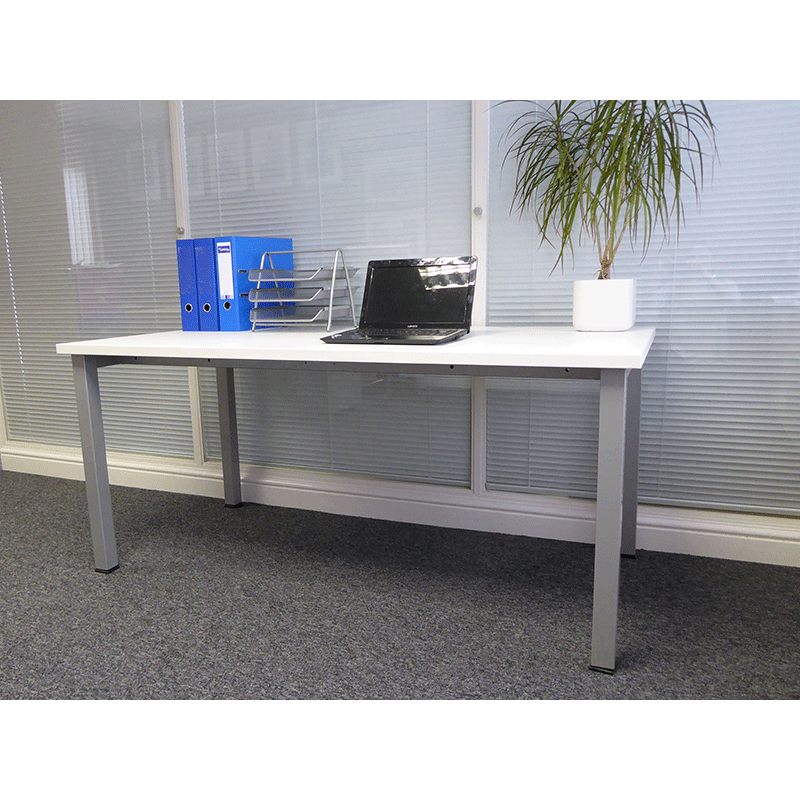 With white top and silver legs, it's a versatile desk for any office or exhibition. 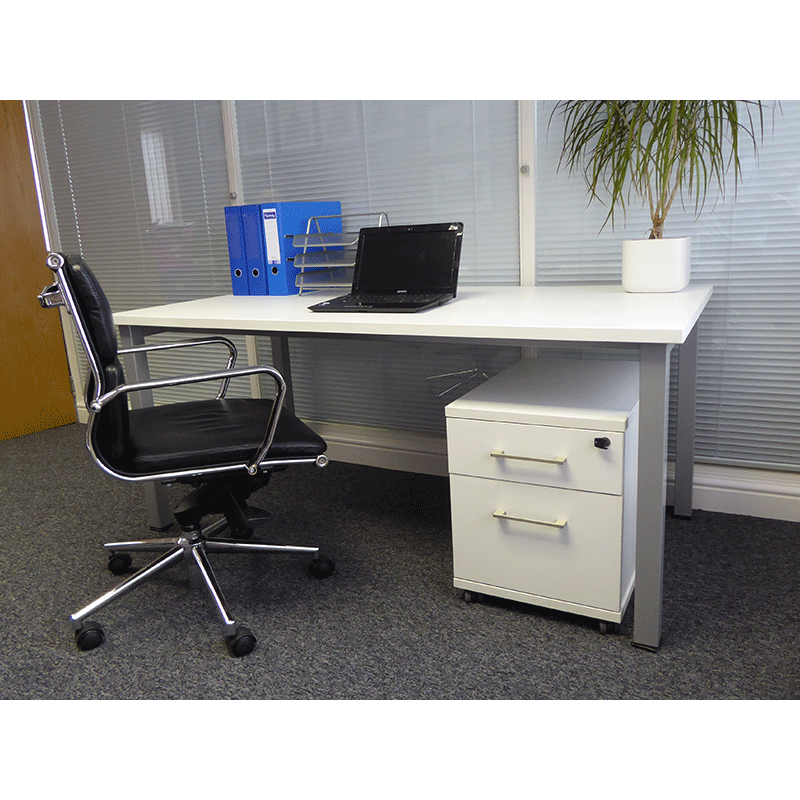 Mobile pedestals are available separately, should you need to add some extra office storage. 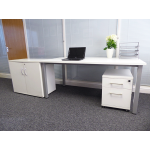 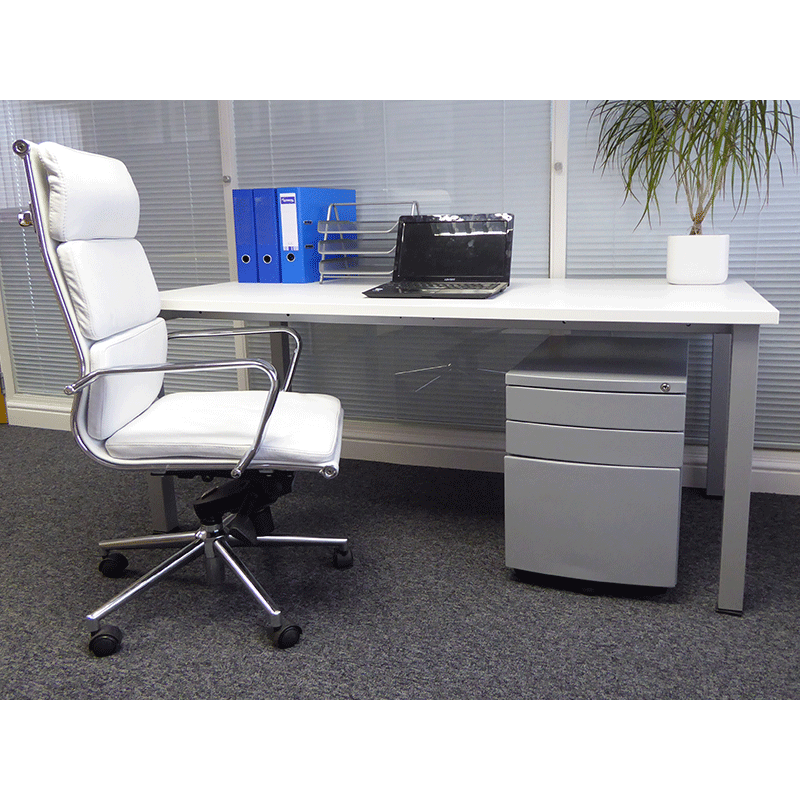 To complete the look, check out our range of office chairs and office screen hire too.